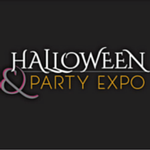 The Halloween & Party Expo is the international showcase for all things party, costume and Halloween related. The Halloween & Party Expo is the largest global show of its kind, highlighting thousands of products from the Halloween, Party, Fantasy Costume and other similarly related industries. Check out the videos of Halloween & Party Expo.